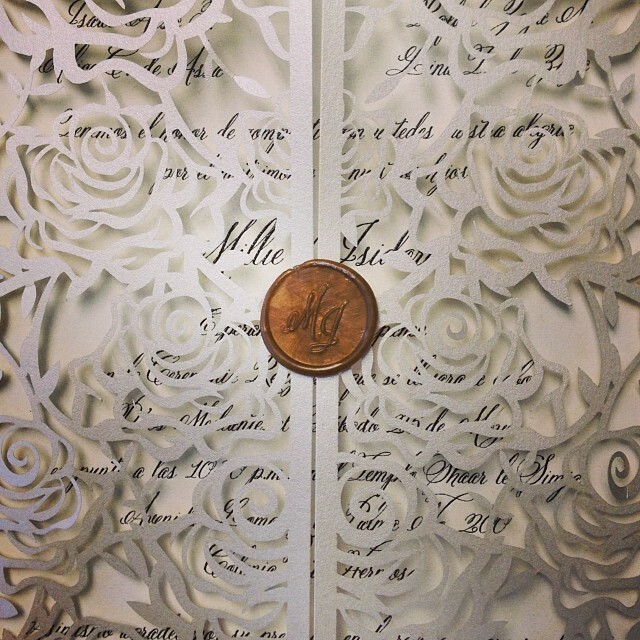 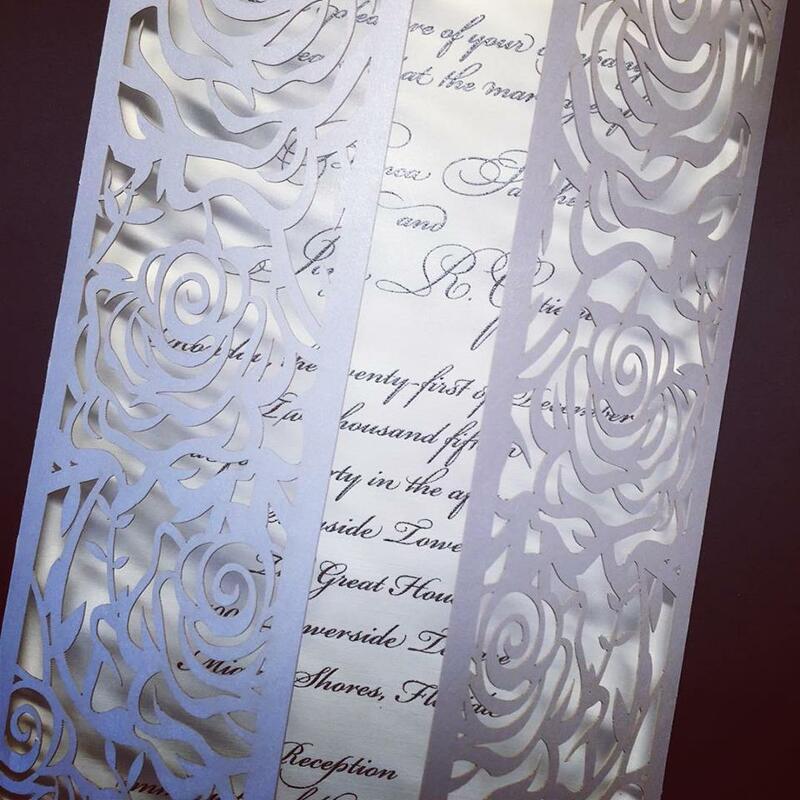 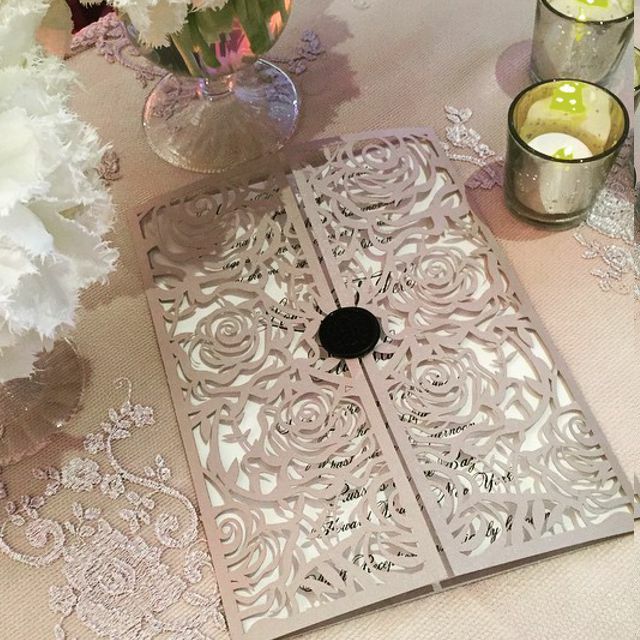 The Rose Laser Cut Gatefold Invitation features an intricately laser cut gate that opens to reveal the wording inside. 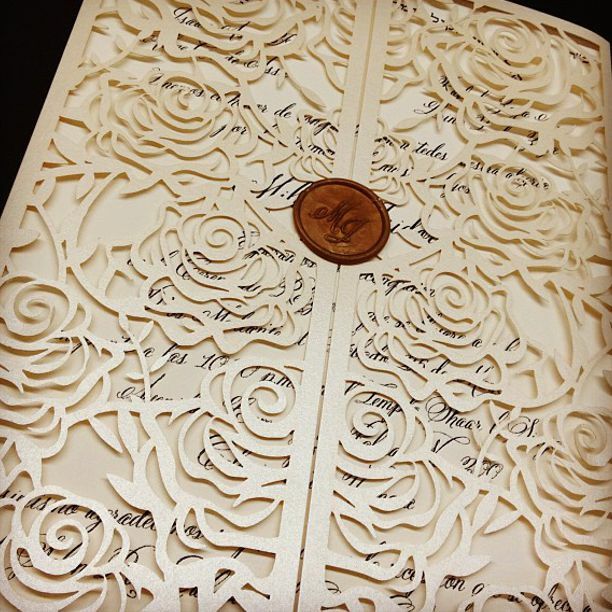 The Rose Laser Cut Gatefold Invitation features an intricately laser cut rose gate which opens in the center to reveal the wording inside. 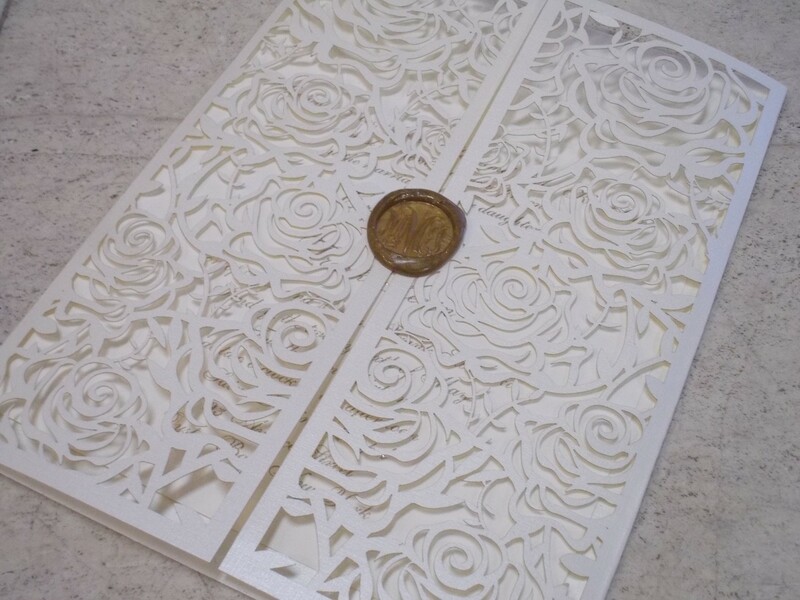 Add the optional wax seal to finish the look.